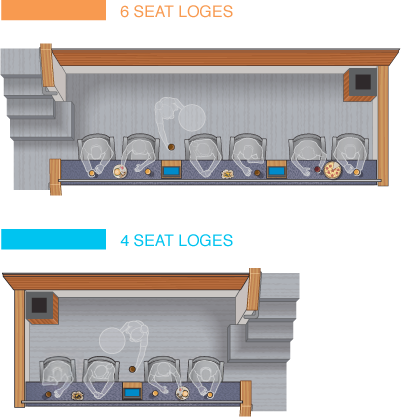 Loge seating combines first-class perks and privileges with a close-to-the-action feel that no other Amway Center seating experience offers. Both the four-seat and six-seat loge seating options provide in-seat food service and plenty of space for you and your guests to spread out, eat and relax — as close as 24 rows from the court. For more information on loge seating please call 407.89.MAGIC and select option "5".